Products that earn the ENERGY STAR use less energy and prevent greenhouse gas emissions by meeting strict energy efficiency guidelines set by the U.S. Environmental Protection Agency and the Department of Energy. With energy costs and global warming top-of-mind for consumers, Noritz America is committed to offering solutions that help consumers conserve energy and improve the quality of our environment. The typical household spends $1,900 a year on energy bills. With ENERGY STAR, you can save nearly $600 on energy bills. By choosing Noritz ENERGY STAR qualified tankless water heaters, you can save more than $100 per year on gas bills compared to a standard storage model. Save energy and money. You don’t use hot water 24-hours a day. Yet a standard tank-type water heater consumes energy round the clock to keep the water in its tank hot. By heating water only when you need it, ENERGY STAR qualified tankless water heaters save the typical family more than $100 per year on gas bills compared to a standard storage model. Larger families can save even more. Continuous hot water. Tankless water heaters provide a continuous flow of hot water, so there’s no need to suffer through a cold shower if you’re the last one out of bed. Unlike with a conventional tank-type water heater, the hot water is always there when you need it. Space-saving design. A qualified tankless model saves you an extra closet’s worth of space compared to a tank-type water heater. Gas tankless water heaters are small and wall-mounted, unlike bulky tank-type water heaters. Models designed for outdoor installation free up even more space and add versatility to your basement, garage, or utility room. Fewer worries. 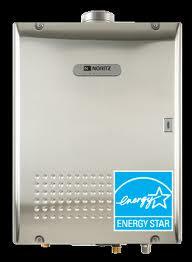 Tankless water heaters have a life expectancy of 20 years, much longer than any conventional tank-type water heater. And with a tankless model, the risk of tank leaks and water damage is a thing of the past. But more than saving energy, ENERGY STAR also makes a difference for the environment. Did you know that the average house can be responsible for twice the greenhouse gas emissions as the average car? That’s because every time you flip on a light switch, run your dishwasher, or turn on your air conditioner, you use energy, which means more greenhouse gas emissions from power plants. So the more energy we can save through energy efficiency, the more we help to reduce greenhouse gases and the risks of global warming. All kind of plumbing job for all my buildings and office also shopping centers Very reasonable prices and services. very happy.